Barcelona closed in qualification for the Champions League last 16 after goals from Rafinha and Jordi Alba handed the hosts a 2-0 victory over Inter Milan. Rafinha gave Barcelona the lead in the 32nd minute, meeting a fine Luis Suarez cross to hand Ernesto Valverde's side the initiative. 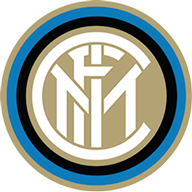 Inter did have half-chances to score, with their best opportunities landing to substitute Matteo Politano, but the Serie A side rarely threatened Marc-Andre ter Stegen in the Barca goal, before Alba wrapped the game up eight minutes from time. The result means Barcelona go three points ahead of second-placed Inter in Group B with three games of the group stages left to play. Barcelona began quietly and showed some signs of early nerves. Ivan Perisic fired a warning shot from range in the third minute as he tried to capitalise on a poor clearance from Ter Stegen. On the quarter-hour mark, Perisic drilled a dangerous cross into the path of Mauro Icardi, but he couldn't make sufficient contact to turn the ball into the net. 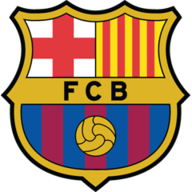 After that, Barcelona steadily grew in confidence and Clement Lenglet was denied a goal when his powerful header from a corner was blocked by the thigh of Samir Handanovic. As Barcelona continued to move through the gears they took the lead through Rafinha. The Brazilian winger, who was chosen to take Lionel Messi's place on the right flank, received Suarez's perfectly executed pass in the box and side-footed the ball home to the delight of Barcelona's talismanic forward in the stands. Sergi Roberto and Rafinha came into the team to replace Nelson Semedo and Lionel Messi. Antonio Candreva was chosen on the right wing ahead of Matteo Politano. Miranda replaced Stefan De Vrij at the back. Politano, who was widely tipped to start the match, came on in the second half for Antonio Candreva and he energised the Inter attack. His deceptive cross into the box headed goalbound and it required Ter Stegen to claw the ball away with Perisic ready to pounce. The Sassuolo loanee came close again moments later, but he blazed his close-range effort over the bar following a sloppy giveaway from Arthur. Even though Inter rallied back, Barcelona responded positively with Suarez and Lenglet both forcing Handanovic into a string of fine saves before Philippe Coutinho rattled the woodwork in the 69th minute. And with Barcelona continuing to apply the pressure, they found their winning goal through Jordi Alba seven minutes from time as Ivan Rakitic's incisive pass was latched onto by the Spanish full-back, who slotted home to complete their convincing victory without Messi. Barcelona are unbeaten in their last 14 Champions League home games against Italian sides (W11 D3), since a 1-2 loss vs Juventus in April 2003. Since the start of the 2016-17 Champions League campaign, Barcelona have kept nine clean sheets in 12 games and conceded just three goals at the Nou Camp in the competition. Barcelona defender Jordi Alba has been directly involved in four goals in the Champions League this season (1 goal, 3 assists); more goal involvements than any other defender in the competition in 2018-19. Rafinha is the 78th different player to score a Champions League goal for Barcelona - more unique goalscorers (excl. own-goals) than any other club in the competition. Suarez was a constant problem for Inter's two centre backs Miranda and Milan Skriniar. When Barcelona were facing some early pressure in the second half, he alleviated it by his clever running into the channels alongside his hold-up play. His performance arguably deserved a goal but he picked up a worthy assist for Rafinha's opener in the first half.